(Photo courtesy of Misha Rockafeller) Utah drag queen Misha Rockafeller got in the back of columnist Brodi Ashton's rideshare and told the story of how a bad tooth led to a coma. I picked up two lifelong friends in downtown Salt Lake City. One was Patrick, the owner of an art gallery. The other was a drag queen who goes by the name Misha Rockafeller. In 1997, Misha won La Femme Magnifique, which apparently is the Olympics for drag queens. In that contest, a life-size version of a music box, complete with working parts, was rolled onstage; when the lid opened, Misha was the ballerina inside. I didn’t really say that. I was a little less forthright, because I value my job. But they still got the point. (Scott Sommerdorf | The Salt Lake Tribune) Brodi Ashton, author and Uber driver, Thursday, Dec. 28, 2017. It turns out Misha had a bad mercury filling that had damaged his nerve endings. The filling became infected, leading to an abscess, but he didn’t notice because he didn’t feel any pain. The infection spread quickly, traveling up through his sinuses and then down his neck and chest, eventually finding his heart and sending him into a coma. Doctors call this a silent killer. Patrick was one of many friends at his side. For more than half a year, he watched over his friend. Doctors were not optimistic, especially as days dragged into weeks and then months. Twice, he and Misha’s other loved ones made the difficult decision to unhook the machines. But Misha refused to die. They laugh about this now and remark how Misha is unusually stubborn and refuses to follow rules. Six and a half months later, Misha woke up. He had lost the ability to walk, talk or swallow. He even had amnesia. He didn’t know his name. He didn’t know who he was. He describes the moment when he looked around his hospital room in confusion, grasping at strands of memories, and one of his friends leaned down to inform him he was a drag queen, and a successful one at that. The recovery was long and painful, but always the optimist, Misha tells me to never underestimate the power of a good pair of high heels to rebuild atrophied muscle. This is one of the few columns for which I’ve actually had to research the passenger, because the story of a guy who went into a six-month coma because of a bad filling felt like it needed to be checked. So, unless you want to own the phrase “I came out of a coma for this?,” please remove those mercury fillings. Or you could wake up in a hospital room six months later and learn that you are a successful drag queen. Brodi Ashton is a New York Times best-selling author who lives in the Salt Lake City area. She’s also an Uber and Lyft driver who shares stories from the road in this occasional column. 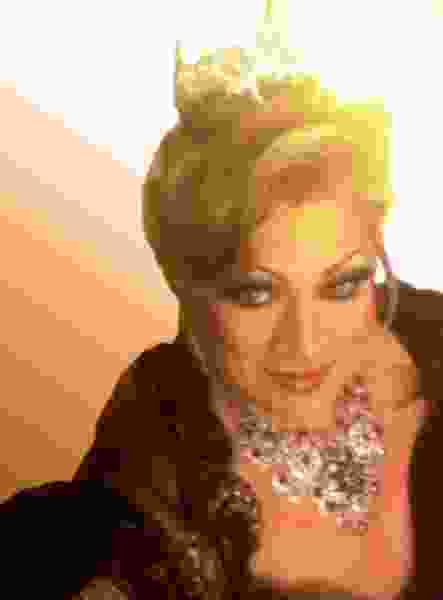 (courtesy of Misha Rockafeller) Utah drag queen Misha Rockafeller got in the back of columnist Brodi Ashton's rideshare and told the story of how a bad tooth led to a coma.